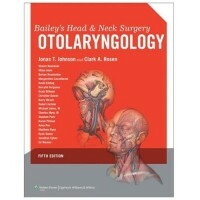 A massive, two-volume textbook spanning 3,380 pages with 12 sections and 207 chapters, this fifth edition of Bailey’s Head and Neck Surgery – Otolaryngology contains current, evidence-based knowledge for the specialist or resident in this field of medicine. 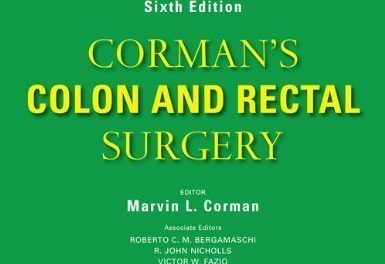 Packed with more than 3,000 full-color illustrations with accurate, intricate, and minute anatomic details, this book is designed to add value to the student or practitioner at any level, by expanding his or her understanding, retention, and ability to apply the information learned within it. This is the preeminent text in its field. It is comprehensive yet concise. Yet, for the very large amount of knowledge contained in it, the book is practical to use and user-friendly because it contains easily readable text, helpful summary tables and other study aids that will enhance the reader’s experience. Not to forget of course the online resources available at http://solution.lww.com. To access the complete contents of this textbook online – which are fully searchable – and to use the other valuable features, simply visit the website indicated above, enter the access code by scratching off the sticker on the inside front cover of this book, and follow the instructions online to activate your access. The vast amount of information contained in this book was authored by 380 medical specialists and experts in non-medical subjects, mainly in the United States, but also in Australia Canada, Hong Kong, and South Africa. A typical chapter in this book starts with a brief description of the contents in the chapter, followed by specific topics and discussions, with illustrations, Tables, and Highlights interspersed throughout the chapter. Numerous illustrations are provided amidst the discussion of each part of the head and neck, which provides the reader various detailed anatomic looks. For example, in the section on Venous Supply, Figure 1.20 shows 20 different veins that supply blood to the neck and head, such as the subclavian vein, internal jugular vein, anterior external jugular vein, superior laryngeal vein, superior thyroid vein, common facial vein, and other veins. A list of books for further reference and study is provided in the Bibliography at the end of the chapter. In other chapters, other study aids are provided for better absorbing the material. For example in chapter 2, Basic Surgical Principles, Tables are provided, as well as boxed areas named Highlights. An example of a Highlights box is found also in chapter 2. In the discussion of the last topic in this chapter, Venous Thromboembolism Prophylaxis, this box specifies the risk factors in patients and the prophylactic measures to be taken to prevent VTE. 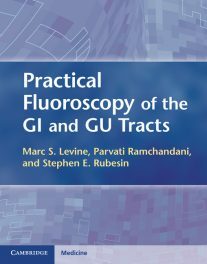 In summary, that this book has been around for about two decades and this current one is the fifth edition is sterling testimony to its wide acceptance by physicians and surgeons in the field of otolaryngology. We need say no more in praise of it. 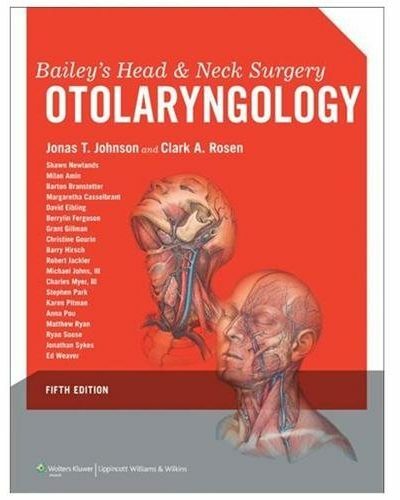 Byron J. Bailey, MD, FACS, who started first edition of this book about 20 years ago, is Chairman Emeritus in the Department of Otolaryngology at the University of Texas Medical Branch in Galveston, Texas. Clark A. Rosen, MD is Professor in the Department of Otolaryngology at the University of Pittsburgh Medical Center; Director of the University of Pittsburgh Voice Center; and Professor in the Department of Communication Sciences Disorders at the University of Pittsburgh in Pittsburgh, Pennsylvania. Trauma: Grant S. Gillman, Stephen S. Park, and Jonathan M. Sykes.